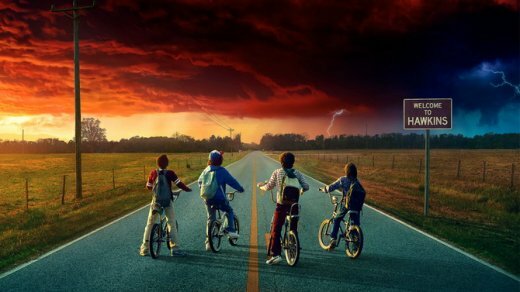 Entertainment / TV / SDCC 2017 - Netflix’ ‘Stranger Things’ Season 2 Trailer debuts! SDCC 2017 - Netflix’ ‘Stranger Things’ Season 2 Trailer debuts! And the awesomeness keeps on coming! Netflix has just released a new trailer for their upcoming second season of the highly anticipated “Stranger Things.” Season 2 picks up essentially from where Season 1 ended. There will be nine episodes in all and it’s intended to be more of a sequel/continuation than a new season. Stranger Things” stars Finn Wolfhard, Millie Bobby Brown, Gaten Matarazzo, Caleb McLaughlin, Charlie Heaton, Noah Schnapp, David Harbour, Dacre Montgomery, Sadie Sink, and Winona Ryder. “Stranger Things” season 2 premieres on Netflix on October 27th.